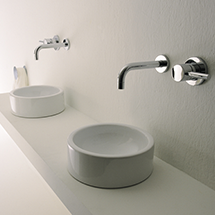 Since the mid-90s, PARISI has been a major supplier of bathware, kitchen and doorware products in Australia. PARISI’s vision has always been to create and curate the ultimate range of interior products; a range offering a harmonious blend of design and quality, as well as a positive contribution to living well – and this has certainly been achieved. PARISI’s high-quality and desirable products are made in conjunction with world-renowned Italian supplier partners including Art Ceram, Flaminia, Hidra, Newform and Simas amongst others, enabling PARISI to remain at the forefront of global design trends. PARISI also offers custom-solutions whether your project is big or small.